After a tough loss in Boston on Wednesday night, the Raptors returned home Thursday to play the Suns, in what many considered to be an easy win. Despite Kawhi Leonard and OG Anunoby not playing, it still looked like this would be an easy home win to get back on track. After all, the Suns came into the game with an NBA-worst 11-35 record, and also a 4-17 record on the road. But despite all of those factors, it was a really tight game and it went down to the very end. The Suns hung around all night long and it took a Pascal Siakam buzzer beater to win it for the Raptors. 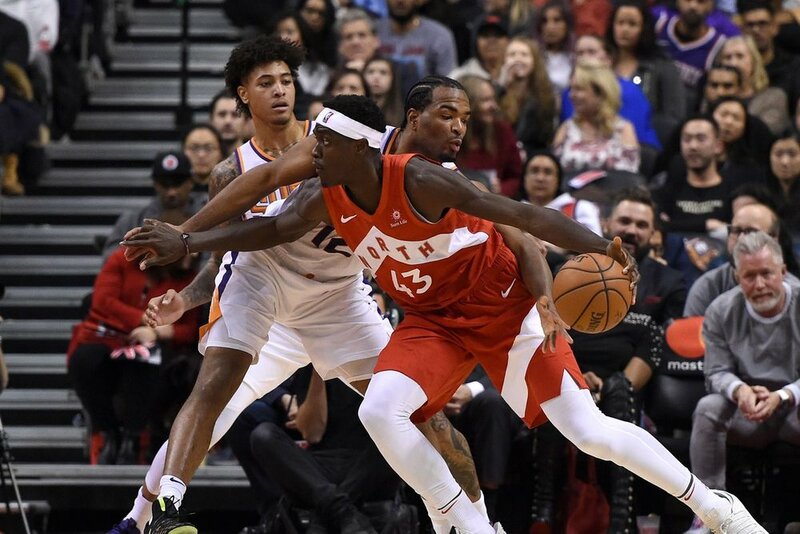 By looking at the final score of this game, it’s concerning that the Raptors couldn’t beat Phoenix without a buzzer beater, but in the long run, it might prove to be a positive for them. This has been a trend for the Raptors recently; barely beating bad teams. Just over the past week, they beat Atlanta by 3, Washington by 2, and then Phoenix by 2. I would obviously prefer that they blow these teams out, but I also see a way in which these tightly contested games could help the team in the long run. This is a team that, as we saw Wednesday in Boston, is still figuring things out in crunch time. They’re not playing as well as they should be down the stretch in big games, and one of the only ways to get better at that is by playing in tight games. Now, I know Kawhi was out Thursday, but he’s not the guy who needs to get better in crunch time. One of the guys who disappeared on Wednesday was Pascal Siakam (only 6 points), and for him to be put in a close game the very next day and perform shows me that he learned something from the Boston game, and that he can be trusted to play in big spots. According to a tweet from Josh Lewenberg of TSN, the Raptors have played 102 “clutch minutes” this season, which is 4th in the NBA. To compare, they had only played in 73 clutch minutes at this point last year. So, clearly this team is getting more experience in big moments, and it should translate to the team being better down the road. I know it’s frustrating to watch a team like the Suns or the Hawks somehow stay in a game against the Raptors, but in my opinion, the more minutes that this group can get in big spots, the better. And I’d rather the Raptors struggle to close out games now than in the playoffs, when it really matters. That being said, if they could win these next few games my a bigger margin, that would be nice. The downside of having Phoenix play you close is that you have to play Lowry 40 minutes in a game in January. So if you can give Kyle and Kawhi some low-minutes nights, that would be helpful going forward. Looking ahead, the Raptors’ next 2 games are at home against non-playoff teams. They host Memphis tomorrow, and Sacramento on Tuesday. Both of those teams are tough to play against. But, at the end of the day the Raptors are better than them, and they should come away with 2 more wins.